Health care provider cardiopulmonary resuscitation (CPR HCP) is an extremely detailed cardiopulmonary resuscitation (CPR) lesson available. Individuals who have previously received this specific card can re-certify this award through Halifax First Aid if prerequisites are met. This specific training course is good for Health care provider cardiopulmonary resuscitation (CPR HCP) re-certification and doesn’t consist of any 1st aid renewal. Health Care provider CPR (CPR HCP) renewals take roughly four to five hours to pass and successful Individuals obtain a re-cert award that satisfies the equivalent certification specifications as compared to the initial certificate. Customers have to meet a few requirements before enrolling into the training course. To sign up for a CPR HCP re-cert course in Halifax browse to the bottom part of the webpage to pick out the class time, location and date. 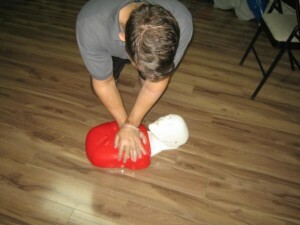 Customers Individuals must have completed the previous CPR level HCP and AED accreditation lesson inside of Canada and via a reputable first aid and CPR provider. Types of legitimate first aid providers include the St. Johns Ambulance, Lifesaving Society, Heart and Stroke Foundation or St Mark James. Individuals are required to have attended the previous Health care provider CPR and AED certification program within the past 3 years. In the event that Candidates fail to satisfy these mandatory criteria they need to redo the full CPR level HCP certification class. Individuals which complete the class will obtain a St Mark James CPR HCP card. This specific award is current for three years and may fulfil many different school and employment requirements. The cost of the re-cert training course is — dollars and normally takes around four or five hrs to finish. Halifax First Aid offers the most competitive prices within the Halifax region. Training course teaching times are dictated through federal and provincial regulations. In order to sign-up for a CPR level “HCP” re-cert course select the training course time and date within the assortment listed below and complete the class enrolment form. Private classes are available for CPR level HCP and AED re-certs. To schedule a private lesson let us know through phone or email. Should you have any questions or issues about Health care provider cardiopulmonary resuscitation renewals don’t hesitate to let us know through telephone or email.